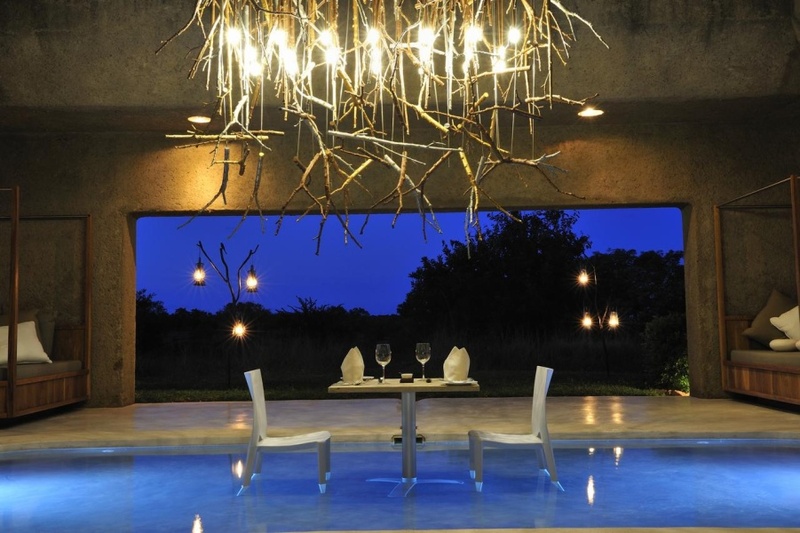 Sabi Sabi Earth Lodge is a modern eco lodge in Sabi Sand Private Game Reserve, sculpted into a slope of the earth and near-invisible in the landscape. Keeping close company with the earth, the lodge is one of South Africa’s most environmentally sensitive lodges. A hidden corridor leads to exclusive safari lodgings and uninterrupted bushveld. Thirteen ultra-luxurious suites include the opulent Amber Presidential Suite. All suites are exquisitely furnished and have a large private verandah and plunge pool, glass-fronted bathroom and indoor and outdoor shower. The boma is an enchanting outdoor dining venue, enclosed by tree roots and surrounded by wilderness. A spa, gym, library, art gallery, meditation garden and underground wine cellar add to the charm and indulgence of the lodge. Safari drives depart from the lodge each morning and evening, either by open vehicle or on foot. Mega-sightings of big game are a daily occurrence. There's currently no specials at Sabi Sabi Earth Lodge.